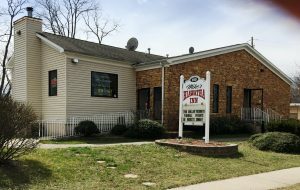 For more than 50 years the Hiawatha Tavern has been a fixture in Hazlet Township. Changing from owner to owner over the years, it was purchased by Michael Fiscina in 2002 and centrally located on Highway 35, Hazlet, Monmouth County, New Jersey. In 2007 the bar was relocated to a larger parcel of property on Highway 36 in Hazlet. Mike’s Hiawatha Inn thrived for the past 10 years as a meeting place for the locals, offering great drinks and typical bar fare. Many a party and celebration were celebrated by the local clientele at the Hiawatha. When health issues caused Mike to decide to sell, he contacted Bielat Santore & Company, an Allenhurst, New Jersey firm, specializing in the sale of bars and restaurants for over 35 years, to package and market the bar. According to Robert Gillis, Bielat Santore & Company’s salesperson responsible for the sale, the bar was sold on Monday, November 6, 2017. Gillis, who himself had once owned and operated a bar in Hazlet was instrumental in bringing the matter to a successful closing. The new owners will continue to operate the facility as a traditional “neighborhood tavern” under the name, Nic’s Hometown Tavern. Good luck and continued success to a Hazlet food & beverage institution!